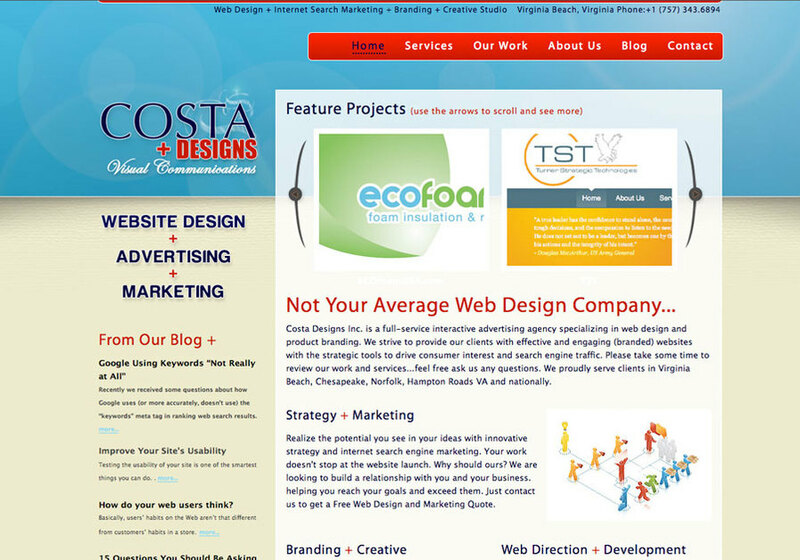 Costa Designs Inc. is a full-service interactive advertising agency specializing in web design and product branding. We strive to provide our clients with effective and engaging (branded) websites with the strategic tools to drive consumer interest and search engine traffic. Please take some time to review our work and services...feel free ask us any questions. We proudly serve clients in Virginia Beach, Chesapeake, Norfolk, Hampton Roads VA and nationally.